My first sales ring experience proved a memorable one – with the top lot selling for 4,000,000gns – and it was pure theatre, as Thursday's report on day three of Book 1 of the Tattersalls October Sale highlighted. 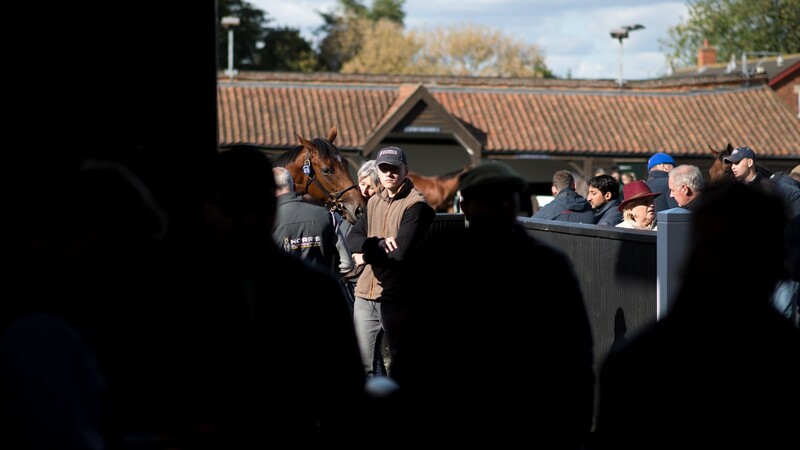 The first thing that struck me about the sale, though, was how laid-back it felt, because you usually see the assorted trainers, owners and bloodstock agents dressed in their finery on the racecourse and not in jeans and trainers. While watching the first few lots go through the ring it became clear that people had their own particular place to stand while bidding, whether by the gate, behind a partition or hidden away on a stairwell. I was also paying close attention to the spotters to ensure they didn't think I was throwing in a bid while pointing at something on the far side of the ring. Lot 418 had already been highlighted as one to watch, being by Galileo out of Breeders' Cup winner in Dank, so I made sure I was in place high above the auctioneer before she entered the ring. Auctioneer Edmond Mahony got proceedings off to a brisk start, encouraging bids from all quarters in a lively manner, before a hush descended on the now packed arena as the bidding went past 3,000,000gns. All you could hear were the horse's hooves as the daughter of Galileo was led around the ring, as my attention switched from MV Magnier and the Coolmore team standing in full view to John Gosden, Anthony Stroud and David Loder who were stood, partly hidden, by the gate. The two parties exchanged bids in what resembled a high-stakes game of poker, before Gosden played the winning hand of 4,000,000gns. I looked across the ring to Magnier and, after it became clear that no bid was forthcoming, Mahony brought his gavel down. At times it felt like being in another world as a bidder would raise a hand nonchalantly to increase their offer to a seven-figure sum, an act that added a sense of mystique to what was an electrifying day.